What is on the Council Agenda for Arpil 2nd. There are only three bills on public hearing. The first one is a local zoning issue which should be of no interest except to the immediate neighbors. ORDINANCE NO. BL2013-394 adds community education as a permitted use in three additional categories of commercial zoning. This would encourage infill development and the adaptive reuse of existing vacant buildings. ORDINANCE NO. BL2013-395 approves a settlement agreement with Comcast and approves a new cable franchise agreement with Comcast. This new agreement covers a lot of ground. If one wants to know more, see the analysis. There are seventeen resolutions all of which are on the consent agenda. A resolution is put on the consent agenda if it is likely to be non-controversial and it stays on the consent agenda if it passes the committees to which it was assigned unanimously. Bills on the consent agenda are usually not controversial and tend to be routine matters, such as accepting grants from the Federal or State Government or authorizing the Department of Law to settle claims against the city or appropriating money from the 4% fund. Resolutions on the consent agenda are passed by a single vote of the Council rather than being considered individually. However, any member of the body may have a bill pulled off of the consent agenda. I do not expect any to be pulled off of the consent agenda. I don't see any controversial resolution and would not expect any opposition. However, there are two bills that worth being aware of that I hope are given scrutiny in committee. RESOLUTION NO. RS2013-633 appropriates $11,054,900 in supplemental appropriations to various departments to balance their fiscal year 2012-2013 operating budgets. It is normal to do a supplemental appropriation in the spring, however this is a lot of money. It is larger than normal because of the cost of the early retirement buy-out program, which has upfront cost but will save Metro money in the long run. RESOLUTION NO. RS2013-640 allows Metro to accept certain incomplete infrastructure located within the River Landing subdivision left incomplete by the developer. The cost to complete this infrastructure is estimated to be $489,560. Metro has sued the developer and collected $54,000, yet Metro will be stuck with the balance. I hope that in committee, Council has been reassured that changes have been put in place so that Metro will not be left holding the bad in future developments. Bills on First reading almost always pass. There are sixteen bills on first reading. They are considered as a group and are seldom discussed. First reading is a formality that allows the bill to be considered. 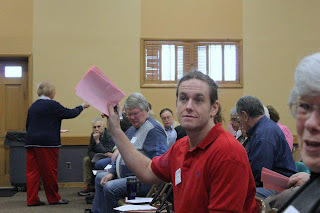 Bills are not assigned to committee or analyzed by council staff until after they have passed first reading. I have not carefully reviewed the bills on first reading, but will before second reading. BILL NO. BL2012-292 is back on the agenda. This is the bill that would liberalize the policy on home recording studios. It adds a new land use specific to home recording studios and would permit studios to have up to ten clients, customers, musicians, or other visitors come to the property per day. Sufficient off street parking would have to be provided and home recording studios would be subject to the residential noise restrictions in the Metro code. The ordinance would retain the existing prohibition on signage. This issue was before the council on public hearing on December 4th, 2012 when it generated a lot of comment. To see that public hearing follow this link. There is a proposed substitute for this ordinance making home recording studio a separate accessory use from other home occupations and clarifying that home recording studios would be permitted in accessory structures. There could be some discussion of this bill. I don't know if this is the perfect bill or not, but this being Music City, I think it is proper that we accommodate the people with home recording studios. We should encourage and support the music industry. Bills on Third Reading: Third Reading is the final reading. If a bill passes third reading it becomes law unless it is vetoed by the Mayor, which has only rarely happened. There are not any controversial bills on third reading. The following bill I do not expect to generate controversy but they are worth mentioning. BILL NO. BL2013-381 by Councilman Tygard would require periodic reports regarding the energy and water savings from Metropolitan Government buildings and facilities constructed using sustainable building principles and practices. This report would determine if LEED certified building are saving any money over non-LEED certified buildings of similar size. This seems like a good move. We need solid data to determine if the cost of expensive energy efficiency measure pay for themselves or if they are just feel-good measures. BL2013-388 repeals the local residency requirement for liquor store owners. The Tennessee Attorney General recently opined that the residency requirement violates the U. S. Constitution because it discriminates against interstate commerce. This opinion is based on a recent ruling in a similar matter. BL201-390 would require that parking lots and garages used for special event parking place a sign indicating the fee to be charged for such special event parking at the entrance of the parking lot or garage. That sounds reasonable to me. There are no memorializing resolutions on this agenda. This is unreal, but in testimony given before a Florida House of Representative committee a Planned Parenthood spokesman said that if a child is born alive in a botched abortion the decision of weather or not to kill the baby should be left up to the mother and her doctor. Planned Parenthood lobbyist Snow: "We believe that any decision that's made should be left up to the woman, her family, and the physician." Planned Parenthood has long fought any effort that reduced the number of abortions such as discussion of options with the mother or a waiting period. Planned Parenthood has opposed outlawing partial birth abortions. Now, they advocate the right to "abort" a baby after it is born. No government anywhere should ever give a dime to Planned Parenthood even for non-abortion health services. United Way should not support Planned Parenthood regardless of what service they may provide. They should be treated with the same contempt we have for any child murderer. They should be shunned and not welcome in polite society. Recently Lindsey Lowe was sentenced to two life sentences for the 2011 murder of her infant twins. She was convicted of two counts each of first-degree premeditated murder, first-degree felony murder and aggravated child abuse. Planned parenthood would have considered what she did a post birth abortion. Ken Jakes' concern about Patricia Heim. Reply to Barbara Outhier. Barbara Outhier, I, like you, usually don't respond to blogs. I, like you, normally read them and move on. However, I do want to comment on your comment. You talk about facts, so let me just give one that I noticed on March 21 at the Election Commission. I stayed for the entire Meeting. 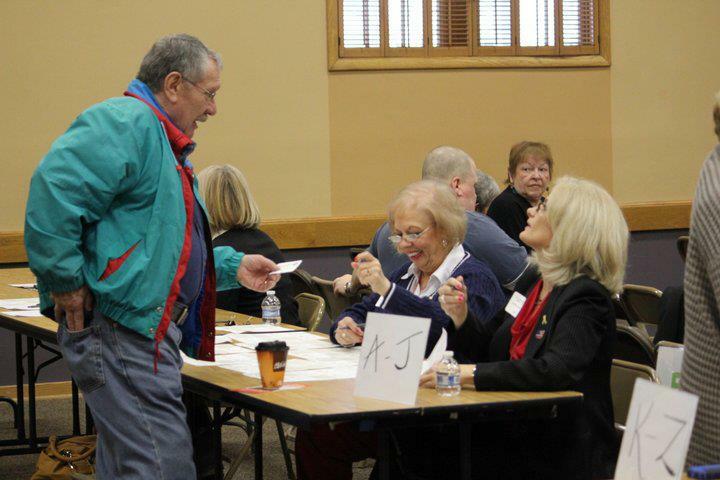 When it came to the Voter Fraud section of the meeting it was discussed that one individual using similar names but different social security numbers had registered to vote twice. This was not a simple error. In my opinion, this is as clear as it gets to Voter Fraud. Steve Abernathy made a motion to send that case to the District Attorney for prosecution. His motion failed for the lack of a second of the motion. The Election Commission is charged with the responsibility of sending Voter Fraud to the DA; not the prosecution. It was discussed among the Commissioners that the DA will not prosecute Voter Fraud. If the DA will not prosecute, then the people can and should vote him out of office when the time comes before them. Why did Patricia Heim not second the motion and vote to send this Blatant Voter Fraud to the DA for prosecution? 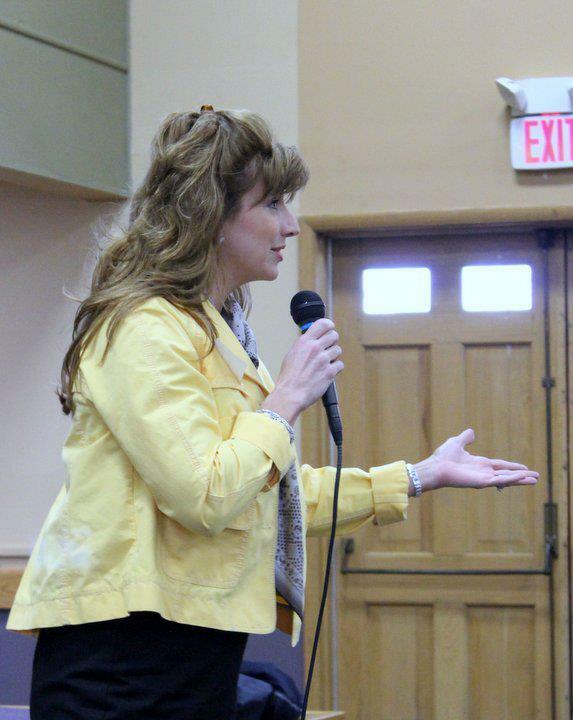 I, like you, consider myself a true conservative Republican but I will never place party over my principals. I realize that my response to your blog is not politically correct and the politically correct thing to do is just do as usual and not respond, but I have a conscience as well and it just will not let me not respond. I will not list what I have done, doing now, and will do in the future for the Republican party. That issue to me was not about party, it was about being an American. Hoping you, like I, continue working for the Party because there is plenty of work to do. Ken Jakes is a citizen activist discovering and exposing government corruption and waste. He is a former and probably future candidate for public office. The people of Tennessee received some welcome news this week when Gov. Bill Haslam announced that he would not pursue efforts to expand Medicaid. This is a fiscally responsible decision, and he should be congratulated for it. Cadbury makes those gooey delicious Cadbury Easter eggs and Muslims don't celebrate Easter so I don't know why Cadbury would bother but it is no concern of mine it Kraft things it is a good business decision to make Cadbury products halal. The alarmist fringe are concerned. First it is Cadbury halal Easter Eggs and next thing you know all of the women will be wearing burqas. Here is something else to be worried about: Did you know that Kroger sells Kosher dill pickles? by Michael Cass and Joey Garrison, The Tennessean, Mar. 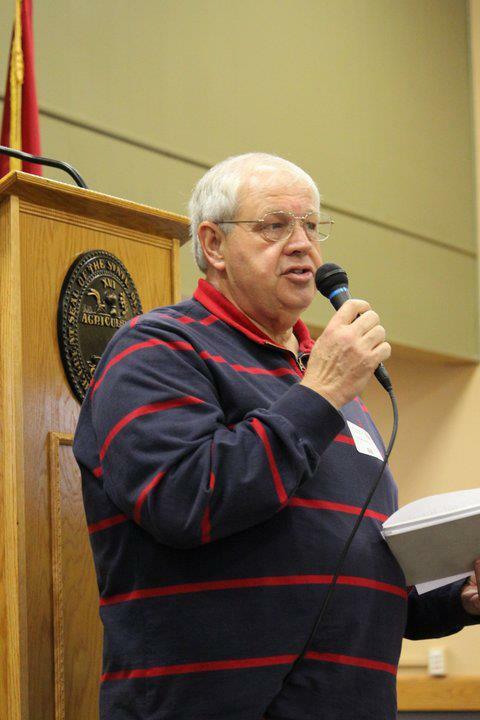 29, 2013 - Three Republicans who form the majority on the five-person Davidson County Election Commission are on their way out, with replacements likely coming next week, in a shakeup that ensures almost entirely new membership following a turbulent year. Mr. Williams, Normally I read blogs and move on, however, yours was forwarded to me, and I decided it required a response. First, my name is Barbara Outhier. 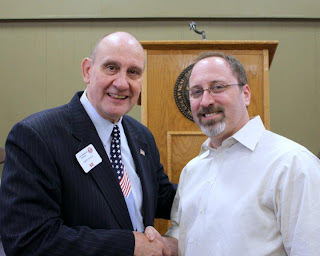 I have been an active Republican for more years than I care to recall serving as campaign manager in legislative races; State Volunteer Chair in each of Sen. Fred Thompson’s Senate Campaigns; member, Davidson County Election Commission (in a minority capacity during my entire tenure); County Chair for Bush/Quayle (1992); District Chair for McCain/Palin; member, TN Health Facilities Commission (appointed by Gov. Alexander); member, TN Funeral Directors and Embalmers’ Board (appointed by Gov. 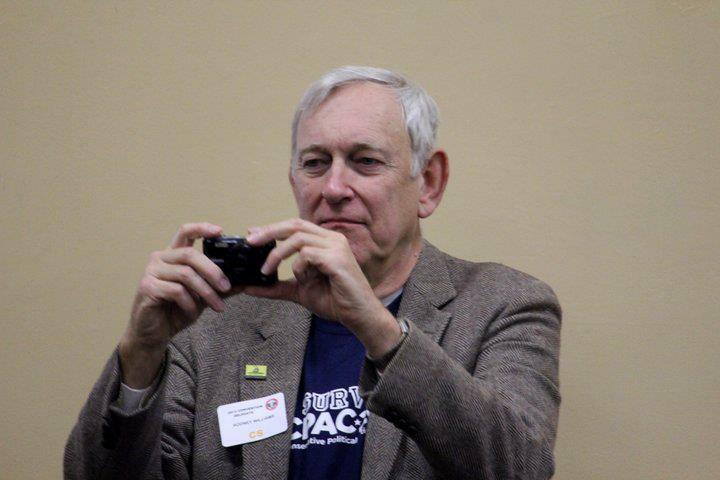 Alexander) and current member of the state-wide Board appointed by Gov. 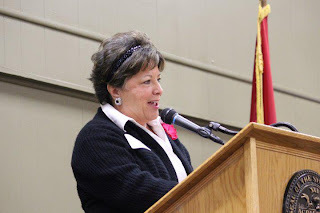 Haslam; officer, TN Federation of Republican Women; officer and Board member for several years, Nashville Republican Women’s Club; active participant, Speaker Harwell’s campaigns since the first time she ran; Indian who stuffed, addressed, sealed, stamped thousands of envelopes, made thousands of telephone calls, went door to door, stood outside polling places holding signs for Republican candidates (being called unpleasant names along the way, etc); and in general served my Party in every way I could. I hope these credentials give me credence to respond to your blog. You state that many Republicans were dissatisfied with Patricia Heim’s service on the Election Commission and wanted her replaced. If you will, please look at that. 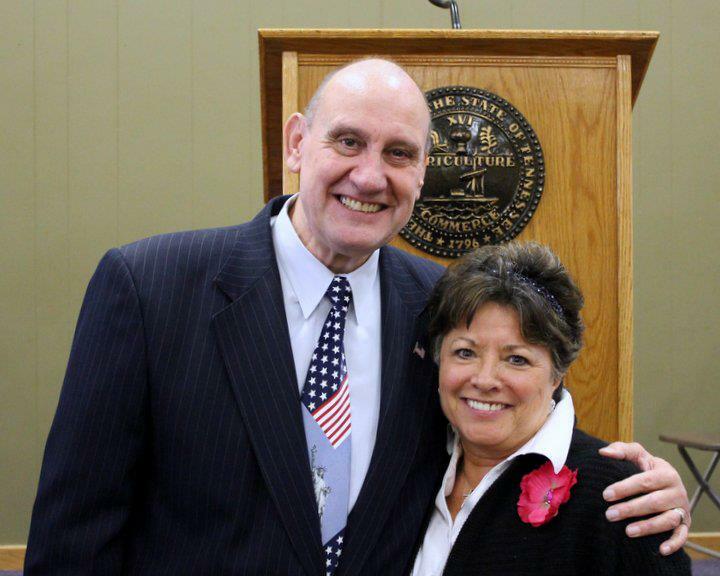 She and Lynn Greer served with honor and distinction during all the years when they were in the minority on the Commission, many times under difficult circumstances, but they “kept their heads down” and did their job. In so doing, they made strides for this Party as they did so. Along the way, Patricia built a reputation as being one of the most knowledgeable and respected individuals in the State regarding election laws. 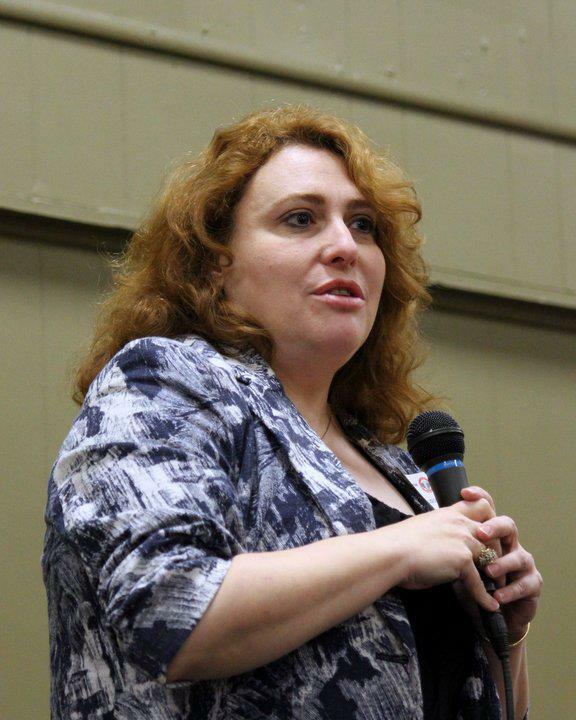 She was consulted by legislators and wrote a piece of legislation directed at cleaning the voter rolls. She and her husband Don live in Nashville, raised their family in Nashville (one son a graduate of Belmont University, another a graduate of West Point with a tour of duty in Afghanistan), worship at First Presbyterian, works and mentors the underprivileged (especially in financial matters), serves on mission trips to Mexico building homes where there are none, works and organizes mission programs with her church, has served as President of Nashville Republican Women, treasurer and former Vice Chair of the Davidson County Republican Party under Will Long, and volunteered in more campaigns than either of us know. Now, that is the profile of an individual we DO NOT WANT in this Party? In other words, Mr. Williams, she is not a cardboard figure. Patricia is a loving human being, just as you are. She has been maligned, vilified and attacked for some reasons that I do not wish to believe could actually come from members of our Party. Turf protection and greed are not pretty motives employed to destroy an individual, I am sure you will agree having been a public servant. During the past few weeks, she has endured ugly innuendos, personal smears and attacks, mostly from shadowy figures making phone calls and sending emails…none with facts, just vague accusations. Patricia voted no on Steve Abernathy’s motion because she was concerned about the legal implications. She voted her conscience; I respect that. Lynn and Steve voted their conscience; I respect them for that. Is that not what we want from our officials and those who represent this Party? We may not always agree with the vote, but we want them to vote their principles and conscience with good judgment. I suspect when you were on the council, you also voted your conscience and were lambasted for it, but at the end of the day when you put your head on your pillow, you did so believing you had done your best. So with our three commissioners. For all these years, Patricia served on the Commission honorably until a few individuals took issue with her, and the unpleasantness has not stopped. Their names are unimportant, but what is important is that their tactics will not build a Party. Who would chose to join the Republican Party if when we disagree we viciously turn on our own and eat our own. Answer: NO ONE! As for trying to lead an effort to fire Albert Tieche. Shame on anyone who repeats that. Patricia understands (unlike those who have publicized this rumor) that it will be the next Commission who addressed whatever problems may exist with the current administrator. More important than that, she and Albert attend the same congregation and if she wanted him removed, she would go to him privately and discuss the issue because that is the character of this lady. She would not go behind his back or engage in rumors, unlike those who have attacked her. Now, I have a request of you. If you really want the truth and want to know who Patricia Heim is, call her. You will find a lovely, gracious, smart woman who values her reputation and will talk with you, answer your questions, and I believe in the end you will do the right thing because she believes in the goodness of people. Some years ago, you took public issue with Lynn Greer without calling him, and when you did speak with Lynn, you found you had been fed erroneous information. Call the lady, Mr. Williams. Who knows, you might even make a friend. Forgive the length, but after weeks of keeping silent, it lightens my heart to write it. Comment: Thank goodness that on balance our legislature is still sane and that the democratic legislative process usually works. A lot of bad bills get purposed but most get watered down to being harmless or they get killed. I did not think it wise to require Barney to arrest Marshal Dillon and I was not looking forward to another Civil War. I would encourage those who care about the future of pubic education in our community to get involved in the planning process of NashvilleNext. Future decisions will be justified based on their conformity to this plan and the plan will guide decision makers. If only advocates of bigger government, higher taxes, and social engineering are involved in developing the plan, then the plan will reflect those values. If advocates of individual liberty, property rights, and excellence in education are at the table those values may be reflected in the plan. The plan needs the input of all Nashvillians. I have not yet read the full 40 page education report but plan to do so. I hope those who care about the future of education in our community will read the report and then get involved in the NashvilleNext planning process. The bill was sponsored in the Senate by Senator Haile and co-sponsored by Senators Dickerson, Johnson, Green, and Ketron. In the House it was sponsored by Rep. Womick and cosponsored by Harwell, Evans, Rogers, Durham, Lamberth, Sargent, White D, and Littleton. In the house fifteen members voted against the bill. Here is who they are: Armstrong, Cooper, Curtiss, Favors, Brenda Gilmore, Sherry Jones, Harold Love Jr., Miller, Parkinson, Sanderson, Shaw, Mike Stewart, Tidwell, Turner J, and Mike Turner. In the Senate only Gardenhire and Gresham voted against it. I commend those members of our legislature who sponsored and voted for this bill. There was never any logic to paying a nightly hotel Per Diem for members of the legislature who spend each night in their own bed. There is no word yet on whether or not Sherry Jones will resign her seat. Confirmed: All 3 Republicans being replaced on Election Commission. It is confirmed that all three Republicans on the election commission are to be replaced. Follow this link to read Michael Case's report on the issue: Republicans on Davidson County Election Commission to be replaced. The Metro Council Agenda for the April 2nd meeting is now available. The Metro Council Agenda for the April 2nd meeting is now available. If you will wait I will read it for you. Here is the link: Metro Council Agenda. Are all 3 Republicans being replaced on County Election Commission? I was shocked to hear this evening that all three Republicans on the Davidson County Election Commission are to be replaced. If my source is correct, none of the current Republican members are going to be reappointed! 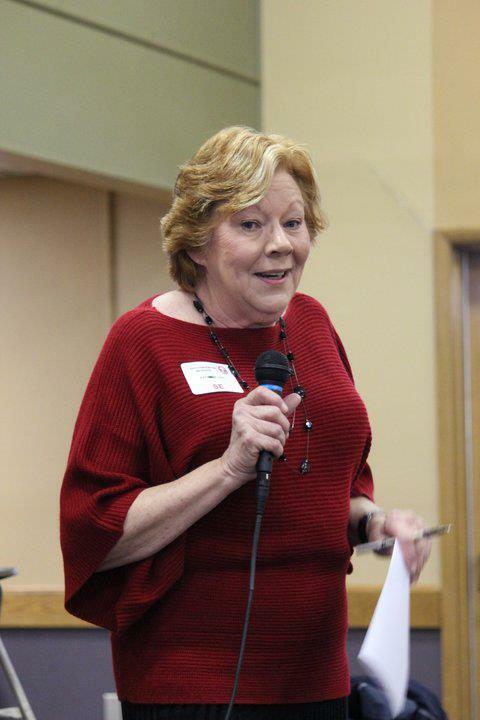 Many Republicans have been disappointed with Patricia Heim's service on the Commission and many were hoping she would be replaced, however, I don't think anyone thought Lynn Geer and Steve Abernathy would not be reappointed. Tonight one of the Republican election commissioners told me he got a call this morning from Beth Harwell telling him he would not be reappointed. New commissions will be officially appointed on April 1, when the State Election Commission meets. The new people who are going to be appointed should have been told by now. I don't know who they are. Since Republicans control the State House, all county election commissions across the state are now in the hands of Republicans. County election commissions are governed by a board of five commissions, three of whom are Republican and two of whom are Democrat. Mark Goins, the State Coordinator of Elections appoints all of the members of all of the state's county elections commissions and they are confirmed by the State Election Commission. In reality, the elected Republican legislators in a county appoint the Republican members of the commission and the elected Democrat legislators appoint the Democrats to the county election commission. These elected officials recommend to the state Coordinator of Elections who to appoint and he appoints them. Once the people appointed to the county election commission are confirmed and take office they elect their chairman from among their members. The commission hires the County Administrator of Elections who oversees the day to day operation of the Election Commission. As soon as I learn who is going to be appointed to the county election commission, I will share it. Stay tuned. The Beacon Center, NASHVILLE – Gov. Bill Haslam announced today that he would not currently seek Tennessee’s participation in a Medicaid expansion as envisioned by President Obama’s signature healthcare law. Instead, Haslam will focus on reforming the entitlement program known in the state as TennCare. The Beacon Center of Tennessee applauds Gov. Haslam on his decision. The governor has spent much time and energy studying the impact of a Medicaid expansion. 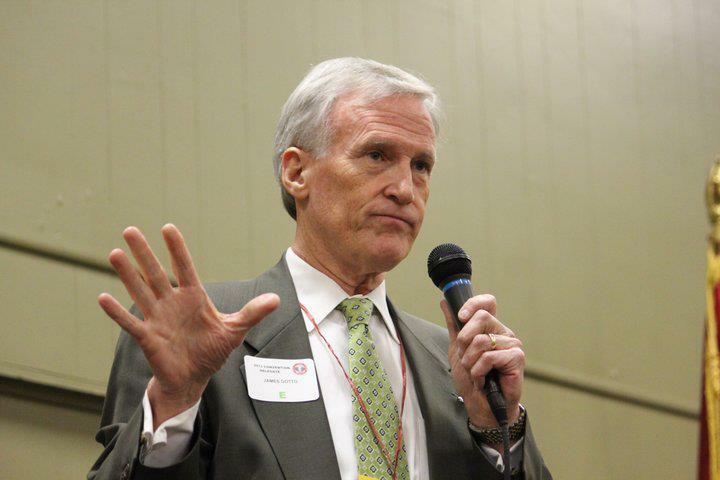 After the federal government rejected his request for flexibility to reform TennCare in lieu of an outright expansion, he rightly concluded that merely expanding the program now is bad policy for both TennCare recipients and taxpayers alike. Over the past several months, the Beacon Center has worked to inform policymakers and the general public that a Medicaid expansion would be unaffordable and immoral. Through policy reports, media interviews, opinion articles, and an infographic, the Beacon Center made the case that both taxpayers and TennCare recipients would be harmed by an expansion. TennCare already eats up 27 cents on every dollar in the state budget, higher than the national average. Rather than expand the program, the governor and lawmakers should consider meaningful reforms that will make TennCare more sustainable and increase recipients’ access to care. A Medicaid expansion would have done the exact opposite, thus making it unaffordable and immoral. The Beacon Center of Tennessee’s mission is to change lives through public policy by advancing the principles of free markets, individual liberty, and limited government. I appreciate the opportunity to speak this morning. There is no more important issue, or more complex issue facing our country and our state today than healthcare, and I wanted to update you about where we are regarding Medicaid expansion.This may look like a simple decision. On one side, people think how could we not accept federal money to expand Medicaid to cover more Tennesseans and on the other, why in the world would we accept funds tied to ObamaCare knowing the federal government can’t pay for it? But it isn’t that easy. Let me start by saying there are two basic reasons I don’t like ObamaCare. The first is cost. Regardless of whether we decide to cover any additional people through the Act, Obamacare will cost the state of Tennessee almost two billion dollars over the next eight years.I want to be clear –That is our additional cost regardless of whether or not we cover any new enrollees. Secondly, and maybe even more important than not addressing cost, it doesn’t address the real issues of health reform - users and payers not being aligned and providers and payers not being in alignment. When you go to the grocery store, there is a shopper, a product and the store. The shopper knows what the store charges for each item and pays for those items.With health care, shoppers go to the store, pick out whatever they like - sometimes with a representative of the store suggesting additional items - and then going to check out knowing tha tsomeone else will pay the bill. Governor Bredesen made this comparison in his book, Fresh Medicine. The shopper also rarely knows what the store is charging. Only in health care do we buy something without first knowing the cost. On the provider side, providers are paid based on a fee for each service or product, not on the outcome of care. Market tension is what controls cost and promotes quality. There is no market tension when you buy or sell health care goods and services. To me, the scandal of the Affordable Care Act is that it doesn’t significantly address cost or alignment reform. Earlier this year, I committed to providing some clarity around our Medicaid expansion decision prior to the end of March. And just a few minutes ago, I had the opportunity to address a joint session of the General Assembly to share where we are regarding this significant decision. I think we all can agree that there is no more important or complex issue facing our country and our state than health care. Health care costs and the entitlement programs that cost our federal and state government so much money are on an unsustainable path. For example, regardless of whether we decide to cover any additional people through Obamacare, the Act will cost Tennesseans almost $2 billion over the next eight years. I shared with the General Assembly this morning that Tennessee will not expand TennCare rolls under the Affordable Care Act, but will instead work to leverage the available federal dollars to pursue real health care reform. Tennessee has shown the nation how to produce true reform in education, based on students’ results and educational outcome. We’re beginning to do the same thing with reforming government service – again by measuring outcome and results rather than just years of service as a state employee. I believe Tennessee can also be a model for what true health care reform looks like, so we've been working toward a different plan: A Tennessee Plan for Health Reform. And reform the payment structure for providers so they are compensated for health outcomes, not just based on services performed. To succeed, we need cooperation and assurances from the Department of Health and Human Services. At this point, we cannot get those assurances so I cannot recommend to the General Assembly that we move forward on this plan until we have more clarity and cooperation. Our upcoming budget amendment will not include language to accept these federal funds. I’ll continue to pursue a vision for a healthier Tennessee with access to health care but at a lower cost for our state and our country. It is my hope that we can provide quality health care for more Tennesseans while transforming the relationship among health care users, providers and payers. If Tennessee can do that, we all win. I appreciate your support and look forward to hearing your thoughts on this important issue. My Comment: Some are already denouncing Gov. 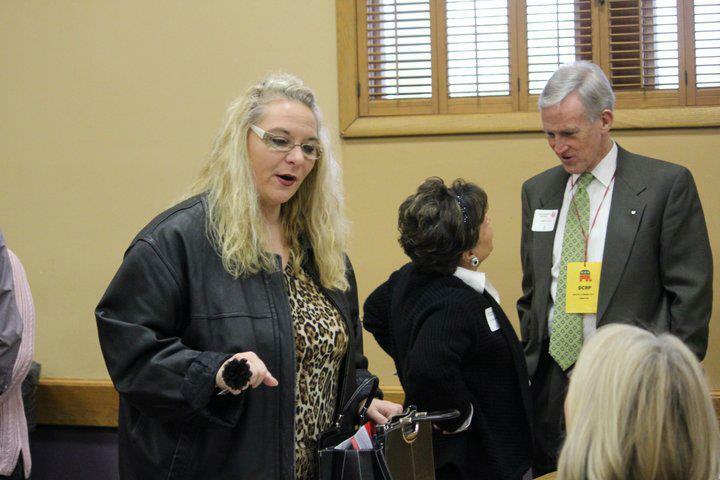 Haslam as turning his back on his constituents and sneaking in Obamacare through the back door. As far as I can tell, this is a good plan. We are all going to pay higher taxes and higher insurance premiums to finance Obamacare. Why should we refuse the federal dollars that could return to Tennessee if it will not burden the state? I think the governor was right in rejecting an expansion and medicaid which could financially hard the state, but a voucher plan is different. A healthcare voucher could work much the same way that food stamps or education vouchers or Section 8 housing voucher's work. There would be much less bureaucracy and overhead in a voucher system than in medicaid. Government would not fix prices that could be charged for services with a voucher system. If we can get a waiver from the federal government to approve the Tennessee Plan, then I think we will have achieved a victory. 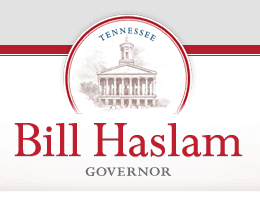 I commend Governor Haslam for proposing a market-friendly alternative to Medicaid expansion. Ashley Judd said Wednesday she will not run for the U.S. Senate against Minority Leader Mitch McConnell of Kentucky. "After serious and thorough contemplation, I realize that my responsibilities and energy at this time need to be focused on my family. Regretfully, I am currently unable to consider a campaign for the Senate." March 27, 2013, The Tennessean, AP, WASHINGTON — Medical claims costs — the biggest driver of health insurance premiums — will jump an average of 32 percent for Americans’ individual policies under President Barack Obama’s overhaul, according to a study by the nation’s leading group of financial risk analysts. Comment: Isn't ObamaCare great? Is this what people thought they were getting? Below is the NashvilleNext Quarterly Update to the Metro Council's Planning, Zoning & Historical Committee that occurred on March 18, 2013. Nashville is changing demographically, and generationally and growth is inevitable. The surrounding counties are also expected to grow. This has implications for infrastructure needs, changing education needs, regional cooperation, land use planning, and transportation needs. We must plan for the future. NashvilleNext is developing a vision and a plan for the next twenty-five years. This is a two-year planning process. I urge everyone to get involved in this process. Too often, only the more liberal, big-government advocates engage in the process of planning. Change will occur whether we plan for it or not. Please get informed and involved. Ballot access rules and laws for political parties and candidates impact your rights. In the United States, where two parities dominate, ballot access criteria are set on a state by state basis. With nine parties, New York has the most political parties on the ballot. By court order, Tennessee had the Green Party and the Constitution Party on the ballot for the 2012 election. The last time a minor party was on the ballot in Tennessee was in 1961. Because they did not get enough votes (80,000 votes in the U.S. Senate race), these parties lost ballot access. Currently a new party must collect about 40,000 signatures to be able to have candidates list their party name next to their name instead of the misleading “Independent” label. In 2004 The Organization for Security and Co-operation in Europe criticized the United States for its restrictive ballot access laws that violate basic human rights. Oppressive nations like Eritrea and Turkmenistan only allow one political party. Turkmenistan recently changed its constitution to allow new political parties to form. Iraq has thirty-three political parties, while Afghanistan has thirty-eight political parties. The most oppressive countries in the world have more political parties than we do in Tennessee: North Korea has five parties. The People’s Republic of China has eight. Zimbabwe has fourteen. Saudi Arabia has fifteen. The Sudan has seventeen. Iran has eighteen. Libya and Burma have thirty political parties each. Eighteenth century "voice voting" eventually gave way to paper ballots. Until the 1880s political parties produced ballots and distributed them to voters, who would take them to the polling place and deposit it in the ballot box. When the government began producing ballots, state legislatures passed ballot access restrictions that discriminated against candidates not associated with the major parties. Tennessee’s ballot access restrictions, introduced in the 1960s, created the seventh most restrictive ballot access laws in the United States. 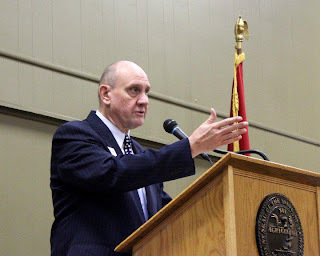 SB 1091/ HB 958 introduced by Senator Jim Kyle and Representative Jason Powell improves Tennessee ballot access by lowering signatures requirements for minor parties to get individual candidates on the ballot and changes the requirements for them to continue to be recognized to getting 5% in any of the races for which they qualified. Ballot access is not a partisan issue. Improved ballot access respects basic human rights, increases freedom, and stops minority discrimination. Minor parties often champion important ideas and highlight issues ignored by the major parties. For example, in the 2012 Presidential election only the minor parties discussed the issue of employing drones both overseas and domestically. Everyone should follow SB 1091/ HB 958. As the bill is considered, we must remind our legislators that this about basic human rights, ends discrimination, and promotes freedom. Encourage legislators to cosponsor SB 1091/ HB 958 and vote in favor of this bill. Encourage others to talk about and promote SB 1091/ HB 958 and post about SB 1091/ HB 958 online, and encourage others to do the same. 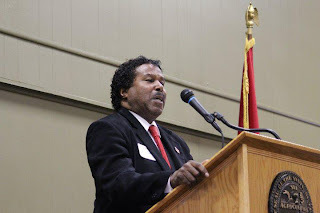 Daniel Lewis is the Chairman of the Libertarian Party of Metropolitan Nashville and Davidson County lpmndc.org. 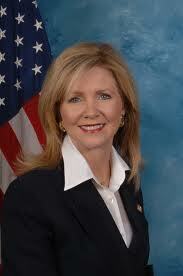 Ladies & Gentlemen... 1ST TUESDAY is proud to announce that on Tuesday, April 2nd ... making her long awaited return .... as our guest speaker will be Congressman Marsha Blackburn ! Do you want to really KNOW about what is going with -- 1]Sequester fallout? 2] what really happened during "Obama's Charm Offensive" visit? 3] the upcoming Budget fight with the US Senate? 4] the Debt Ceiling? 5] something that is not even in the news yet? IF SO, you will want to be at 1ST TUESDAY on April 2nd !! Given the early responses ... expect this event to sell out !! As usual, we will meet at The Offices of Waller Law.. 511 Union St, 27th floor. Doors open at 11AM for Coffee & Social Time. Lunch from Alexander's Catering will start at 11:25. Lunch is $20 for 2013 Members and $25 for Guests ...Since a sellout is expected, I will begin a waiting list once the room is sold out. If any seats open up, paying at the door will be $30. PS -- see our new website sponsors including Dr. Carol Swain and her TV show ! 1ST TUESDAY on Tuesday, April 2nd !! We look forward to seeing you there.. join us as close to 11AM for Coffee & Social Time as your schedule allows. 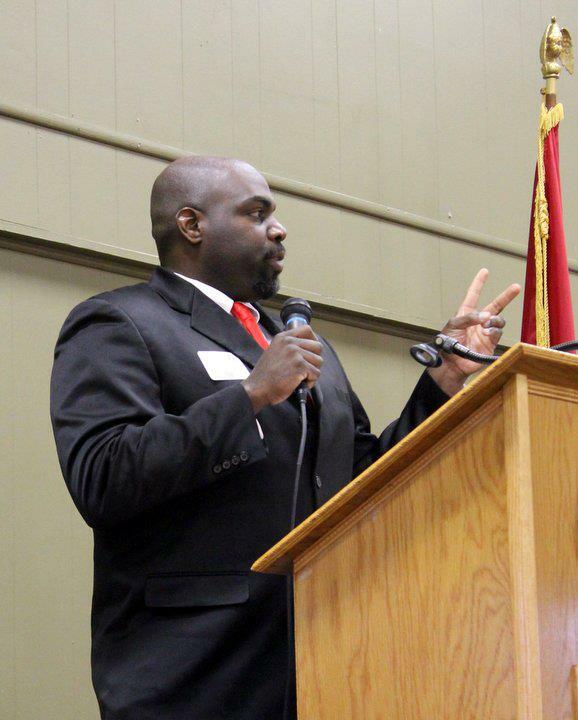 By Phil Williams, Chief Investigative Reporter, Channel 5 News, NASHVILLE, Tenn. - For the first time, Tennessee's district attorneys have signaled they are willing to work on reforms to protect innocent people who have their cash confiscated by police. My Comment: The compromise being discussed is that victims of police confiscating their cash get an immediate hearing before a judge, instead of having to wait sometimes as long as a year. Sometimes compromise is necessary to get anything done. The "perfect" should not be the enemy of the "good.." This compromise may be better than nothing, but just barely. If their is even a fair chance to get the bill passes as originally drafted, I would hope Representative Rich would reject this compromise and push his bill. Carrying cash should not be illegal. One should not have to explain why they are carrying it. Police should not be allowed to confiscate cash and the citizen then prove it is not drug money. Police should be allowed to confiscate property only with a warrant based on probable cause. Representative Rich is to be commended for taking on this issue and Channel 5 is to be commended for their investigative reporting and tenacity in sticking with this story. AN ACT to amend Tennessee Code Annotated, Title 40, Chapter 6 and Title 40, Chapter 33, Part 2, relative to asset forfeitures. 40-6-401. It is the intent of the general assembly that the following rights of any owner or owners of property shall supersede and override all Tennessee procedures, statutes and regulations governing forfeiture of property to the state of Tennessee or any county or municipality, whether the property is real, personal, or in other form, including, the procedure found in chapter 33, part 2 of this title and title 39, chapter 11, part 7. To the extent any statute, regulation or procedure is in conflict with this part, it shall be null and void. (a) No seizure of any property shall be executed wit hout first obtaining a seizure warrant issued by a magistrate who is popularly elected within the county where the seizure is to be executed. If the seizure wa rrant identifies locations in more than one county, then the magistrate issuing the warrant shall preside in a court in one of those counties. (b) Any officer with the statutory authority to ar rest an offender shall have the authority to request the issuance of a seizure warrant. Upon issuance of a seizure warrant, only the sheriff of the county in which the seizure is to be executed shall have the power to seize any property, real or personal. (1) The owner of the property in question is prosecuted and convicted of the criminal acts which render the property subject contraband; or (2) The property is deemed contraband on account of i ts nature by a court of jurisdiction, the magistrate of which is an elect ed office, after a hearing wherein any persons opposing any finding of contraband shall have due process to present a case why it is not. Any property damage, spoilage, or loss of any criterion of value during the pre-hearing possession of the jurisdiction shall be grounds for recovery of that damage by the owner or user, from the jurisdiction making the seizure, if the hearing finds in favor of the opponent of the seizure. Such recovery may be ordered by the court wherein the seizure hearing is held, or in a separate suit by the owner or other interested party after return of the property. SECTION 2. This act shall take effect upon becoming la w, the public welfare requiring it. Please contact your legislators and tell them to support Rich's bill, follow this link to find your legislator's contact information: Find your legislator. Public presentation: "Sustainable Urbanism and Community Livability"
NashvilleNext is bringing in nationally known experts to speak on issues related to growth and development - and one of those events is coming up next Monday, March 25. Doug Farr, president and CEO of Farr Associates Architecture and Urban Design, will speak at Scarritt-Bennett Center at 5:30; details of his presentation, a schedule of upcoming speakers, and video of previous events are all on the NashvilleNext Speakers' Series page. 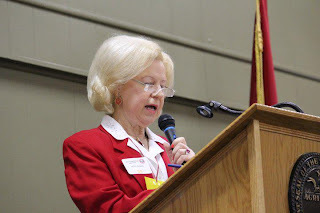 Farewell address of Kathleen Starnes delivered at the 2013 Davidson County Republican Party Convention. You and your team have done and outstanding job with our caucus and convention this year. Thank you. Now if you will indulge me, I would like to share with you what has been going on these last four years. To energize the County Party by engaging the base through outreach and involvement! To increase our party’s representation in the state legislature. To Increase our technology and improve communications. 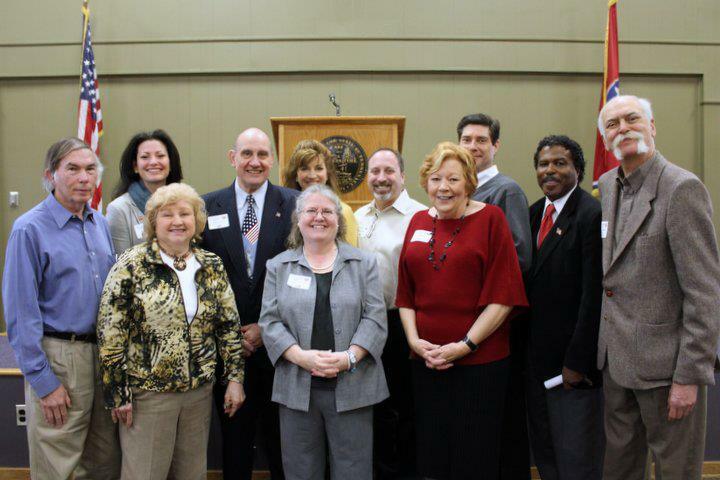 Established Breakfast Summits throughout Davidson County to reach the grassroots. Encouraged and supported candidates to run for offices in all open possibilities. Established our 7 Regional Vice-Chairs to be the eyes and ears of the voters. 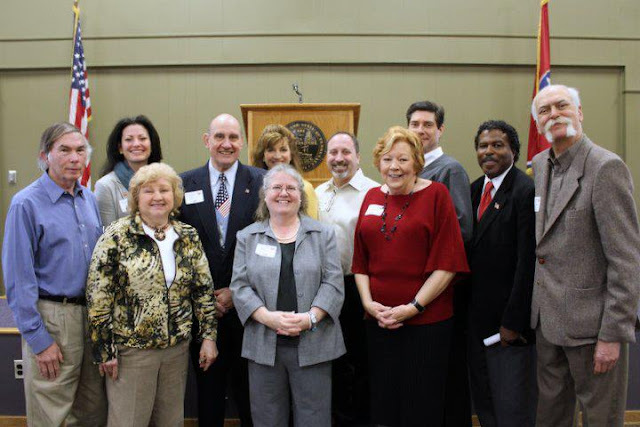 Raise the bar in The Metro Council by electing and supporting great candidates. Established a Chairman Circle with members contributing $1000 each for 2 years, // which established a financial base. Set-up a GOP office for 2 years and made thousands of campaign phone calls for the 2010 elections and fed lots hungry college students. Re-vitalized the College Republicans on the Vanderbilt Campus and tapped into their energy and allowed them work opportunities in all aspects of the political campaign world. Re-established the Reagan Day Dinner in 2010 followed by successful DCRP Picnics every summer. In 2012 we established 3 store fronts to support our legislative and federal candidates and made over 70,000 phone calls. Because of our successes with the Chairman’s Circle, Reagan Day, Picnics, and storefront Headquarters, we were financially able to support our local and state candidates…..AND we are able to leave our new officers in good and positive financial shape. Davidson County is a melting pot of many conservative groups and with outreach we involved ourselves with most of these groups. We need to make every effort to connect with all of our conservative voters. As President Reagan stated the 80/20 rule……"The person who agrees with you 80 percent of the time is a friend and an ally -- not a 20 percent traitor." We are doing a much better job of our technology communications thru our website, constant contact, social media tools of Facebook and Twitter but there is always room for improvement and growth. We increased our representation majority in the State House in 2010 and again in the Senate in 2012. Thank You to all of the candidates who put their daily lives on hold to follow their political ambitions and serve us, the citizens. And a special thank you to all of the volunteers who knocked on doors, made numerous and exhausting phone calls, and financial contributions or gift in kinds for our candidates. We won some…..and we lost a few. We shall rebound in 2014. 2013 is a rebuilding year, to make clear our message to the voters that we are ALL about “a hand up”. 2014 brings Senate, Congressional and State Representatives races and AGAIN our opportunity to increase this majority. In Closing: A special thanks to my bookend, Beth Campbell, who taught me how to spell "Politics." A special thanks to my husband, Larry Maxwell, for his patience and support over these last four years. It has allowed me the numerous hours to accomplish these goals. Thank you all for the opportunity to make the Davidson County Republican Party a viable party, where good candidates can have a good start in campaigning, make a difference in sharing party values and their goals and know that the party will have their back. The next two years are crucial to Davidson County and I charge you to continue your support in leading the Davidson County Republican Party to more winning years ahead. My Comment: Kathleen Starnes has been a great leader these last four years. She was the right person at the right time to lead our party. We owe her a debt of gratitude and a big round of applause. caucus and convention. He did a great job. Everything went smooth and ran on time. Kathleen Starnes delivers her farewell address. Dan Davis making his speech seeking the position of Party Chair. the vote that elected him Chairman. Pat Carl my only one vote. What would your Nashville look like in 25 years?